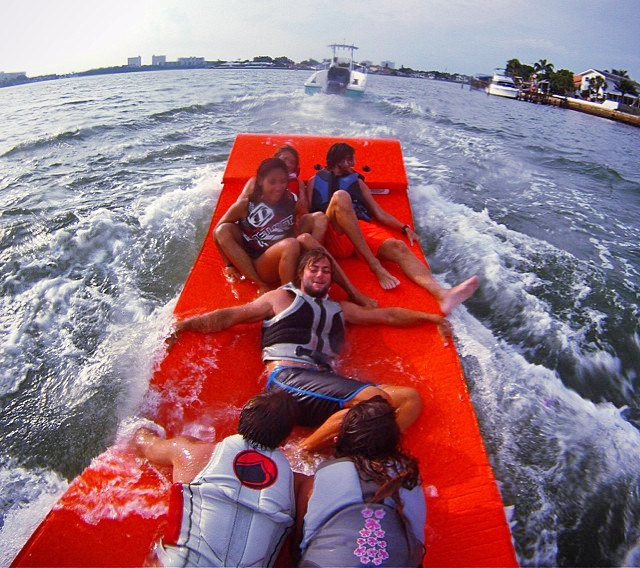 The TowBoggan is essentially one of these water mats that lets you walk on water that is towable behind a boat. 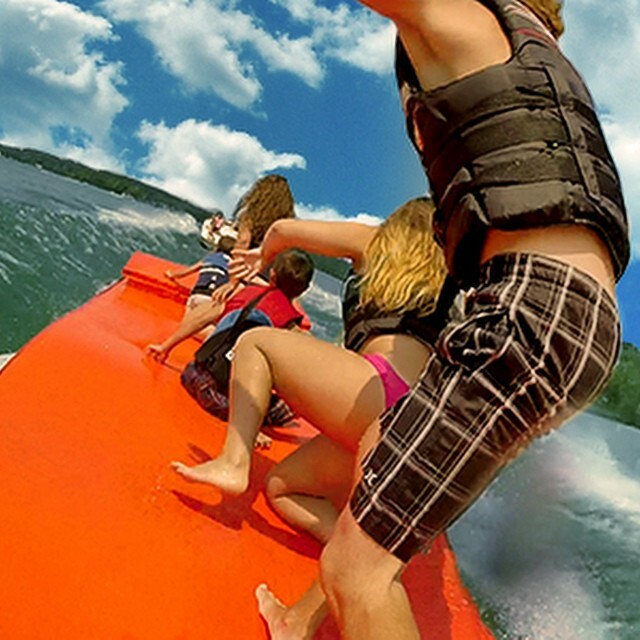 Similar to a Toboggon that is normally used to thrash downhill on snow with a group of 6 people hoping not to wrap your body around a tree, the TowBoggan is used on the water and towed behind a boat like a water tube. 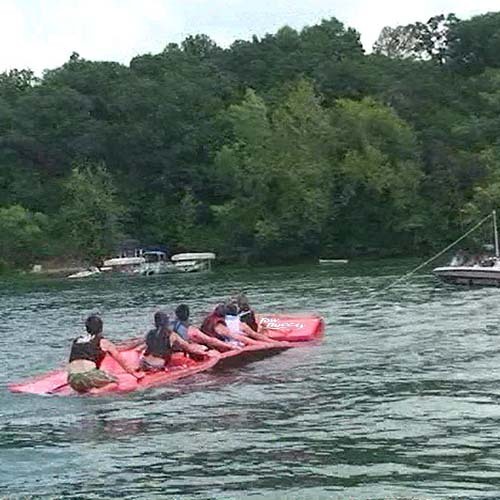 Perfect for playing games like seeing who falls off last, especially with prison rules in place which means you can knock everyone else off however you please in an all out battle to the death, or just casually ride behind the boat on the water mat sipping beers and chatting about the news and the weather. 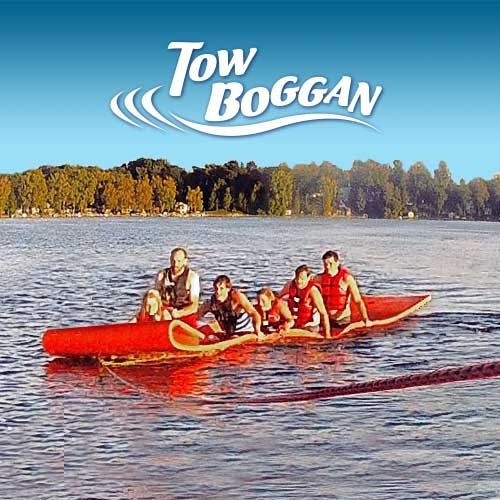 The best part in my opinion is that you don't have to blow anything up with your lungs or a pump, simply throw the water mat TowBoggan in the water, hook it up to the boat, and you're ready to go. 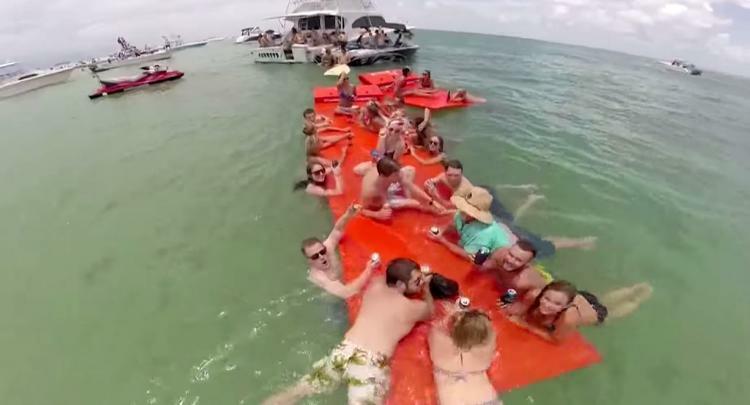 When not being towed the Toboggan can just be used at the beach or really anywhere in the water as just a water mat that you can jump off of, hang out on, or just sip some beers on. 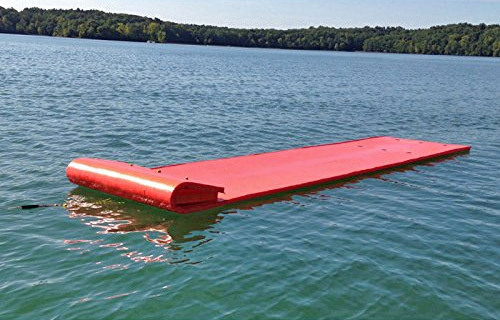 The water mat easily rolls up for easy transportation, and is completely safe for pretty much everyone within the ages of 3-86. 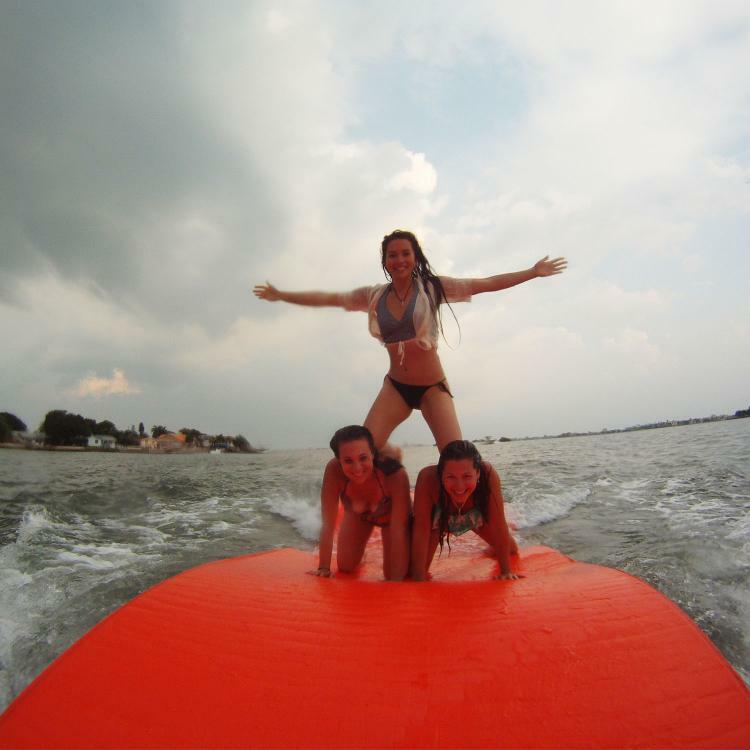 Where they get the max age of 86 is beyond me, cause I know some pretty hip grannies that hang with the rest of 'em. 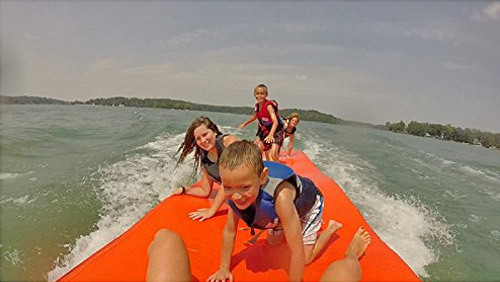 Made by WaterMat, a company that makes... you guessed it, water mats, the TowBoggan comes in two different sizes, a larger version that can hold up to 6 people or 1000 total lbs of weight, or a smaller version that can hold up to 3 people or 500 total lbs of weight. 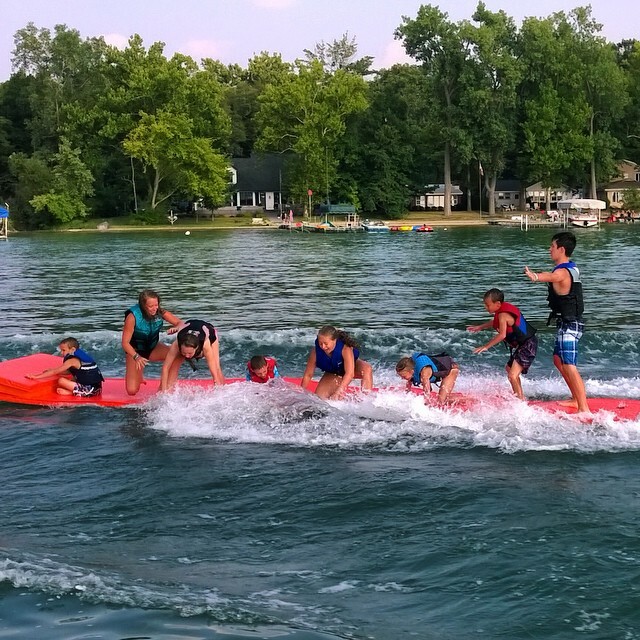 When towing the TowBoggan, you should not exceed 20 mph, you should use at least 50 feet of rope, but no more than 65 feet, while using a 4000-pound tensile strength rated tow rope. 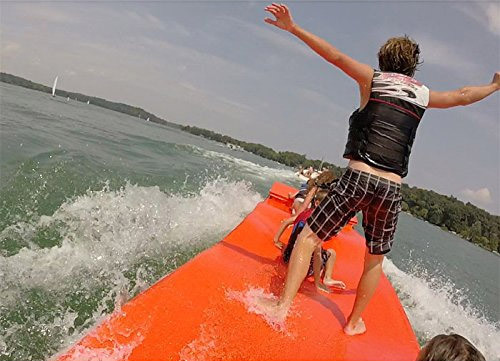 The towable water mat is made from close-cell foam, weighs 90 lbs, and measures 5 feet wide x 22 feet long x 2 inches thick. 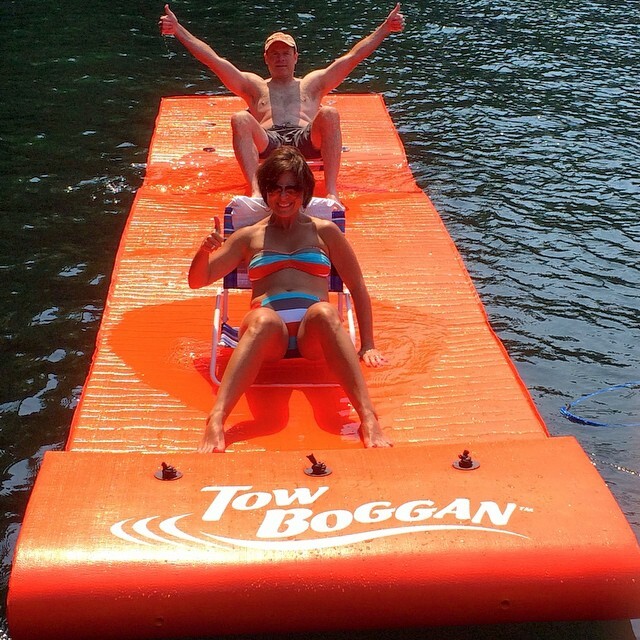 Check out the TowBoggan towable water mat in action via the videos below.